The DCS-5222L Cloud PTZ Camera is a wireless pan/tilt network camera with megapixel HD 720p resolution designed for indoor surveillance applications and detailed remote monitoring. The camera is also mydlink™-enabled, which provides user-friendly setup and instant remote viewing through the secure mydlink™ website or through the free mydlink™ Lite app for iOS, Android or Windows Phone devices. 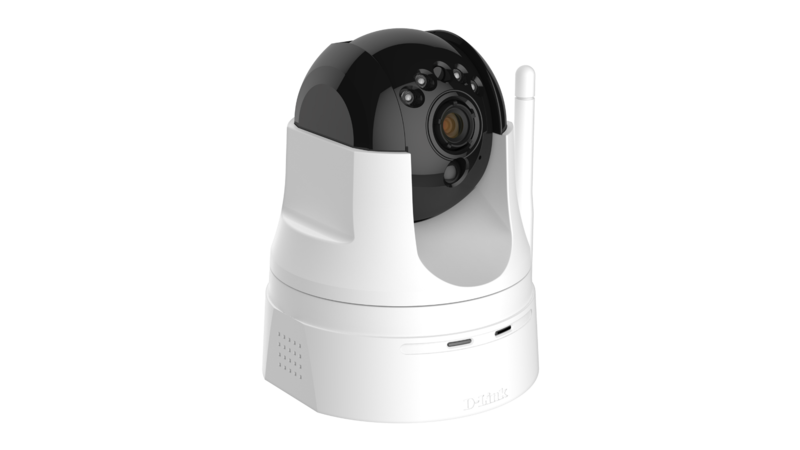 The DCS-5222L Cloud PTZ Camera is a wireless pan/tilt network camera with megapixel resolution designed for indoor surveillance applications and detailed remote monitoring. The camera is also mydlink™-enabled, which provides user-friendly setup and instant remote viewing through the secure mydlink™ website or through the free mydlink™ Lite app for iOS, Android or Windows Phone devices. The DCS-5222L Cloud PTZ Camera is ideal for small and medium business applications which require coverage of a large area, or remote monitoring. 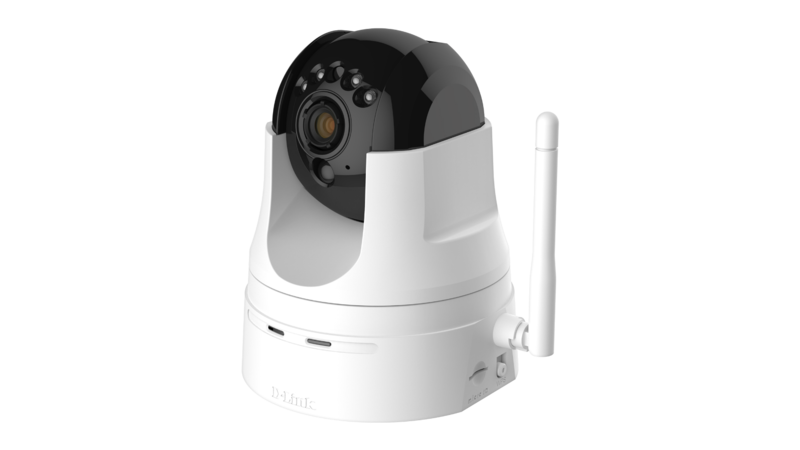 It gives you detailed, 24-hour remote surveillance of a large area by using a megapixel high-resolution HD image sensor for highquality video and a built-in IR illuminator for low-light surveillance. 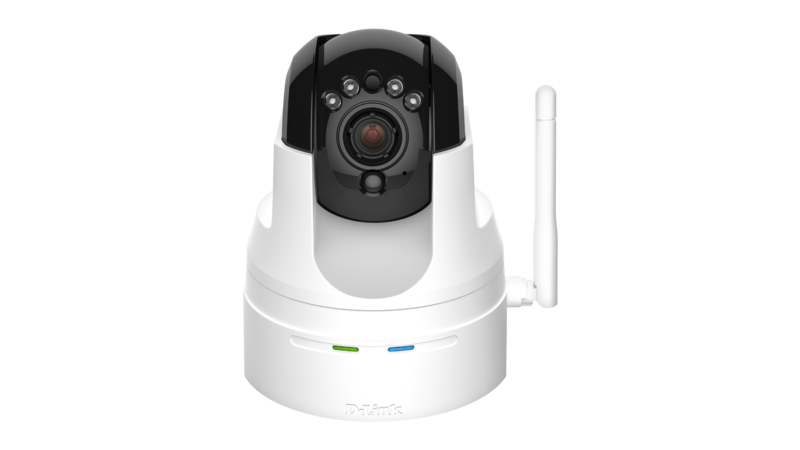 The DCS-5222L can also be connected to your network wirelessly, allowing you to place the camera anywhere that has a Wi-Fi signal, eliminating the need to install additional network cabling. Connecting a camera on your network and accessing it has traditionally required complex configuration. mydlink™ makes it easy to access your camera from wherever you are, whenever it’s convenient for you. Using the free mydlink™ Lite app for iOS and Android smartphones and tablets, you can connect and setup your mydlink™ camera without turning on a computer. A step-by-step guide has your camera up and running in a matter of minutes. Through the mydlink™ Lite app, you can set up a free mydlink™ account which allows you to view and manage your camera from any Internet connected computer. If you have more than one camera, you can add it to your existing mydlink™ account and watch all your cameras from a single location. Accessing your cameras on the go is easy too. Just download the free mydlink™ Lite app for your iPhone or Android device and you can quickly and easily view your camera feed from anywhere with a wireless or 3G/4G LTE connection. You can even access videos recorded onto the included SD card and talk back through the app with 2-way audio support. Thanks to this app, you can monitor on-the-go even if you don’t have access to a computer. If you have a mydlink™-enabled Cloud Router, setting up and configuring your DCS-5222L is a snap, thanks to Zero Configuration. Simply connect your camera to its power adapter and then connect your camera to your Cloud Router with an Ethernet cable - the camera will automatically be added to your account. With sharp, responsive pan/tilt movement and digital zoom, the Cloud PTZ Camera gives you full control, so you can quickly scan a wide area from a variety of angles, and 10x digital zoom lets you zoom in on specific areas for more detail. 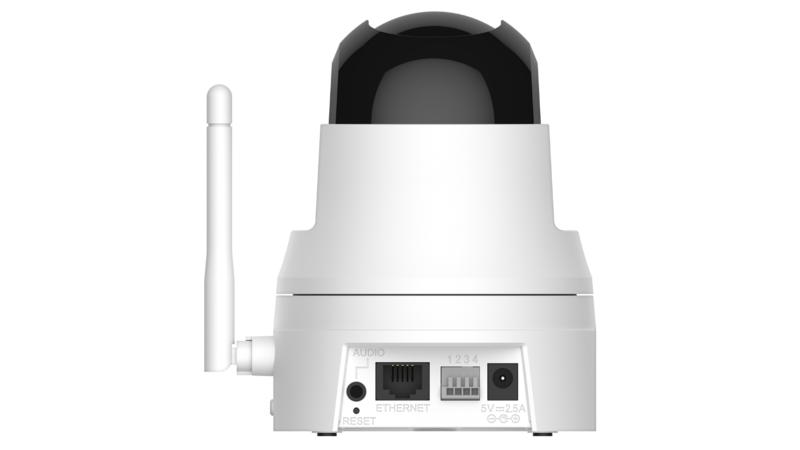 The DCS-5222L can also be set to automatically move to specific preset positions, allowing the camera to patrol particular areas of interest within a surveillance area. The DCS-5222L includes a built-in CPU, allowing it to function as a complete, standalone surveillance tool. Recordings can be made continuously, whenever movement is detected, or according to a predefined schedule. E-mail notifications can be sent when motion is detected, keeping you informed of what is happening, no matter where you are. The built-in microSD slot2 allows the camera to record independently. The DCS-5222L can also be used as part of a multi-camera surveillance system through the included D-ViewCam™ software, which supports up to 32 cameras. 1 D-ViewCam software included is not Mac-compatible. 2 SD card not included. IP cameras are on the rise and gaining popularity, especially wireless models where you can easily view images via your smartphone. Rugged, waterproof models with night vision are also becoming more common.